Brady has introduced two new printers that are sure to excite GlobalMark users and those looking for a high-performance, multicolor industrial printer to serve their entire facility. The BBP35 Multicolor Sign and Label Printer and BBP37 Color and Cut Sign and Label Printer allow for sign and label printing in bright, bold colors in a quick, efficient, waste-free way. These stand-alone (with peripheral modes) printers are designed for use in Safety, Facility, 5S, and other related industries. 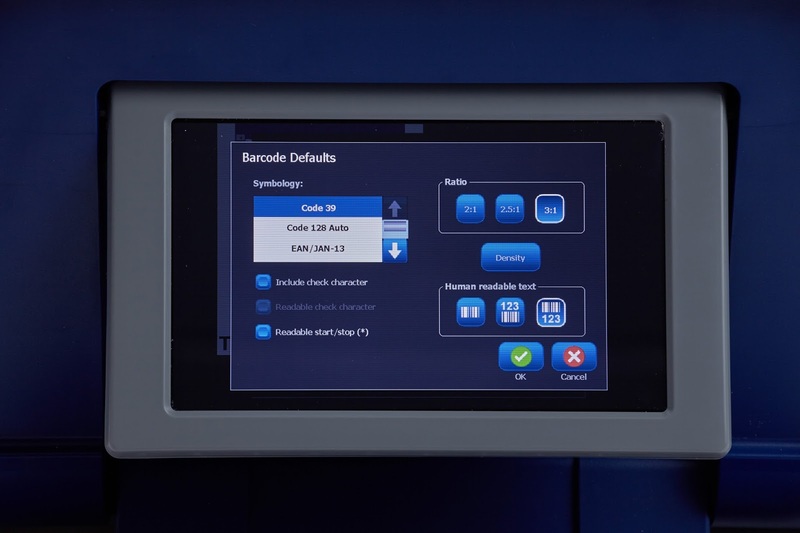 The BBP35 and BBP37 have a built-in touchscreen, keyboard, and templates, which allow for the creation of a variety of printables such as pipe markers, arc flash labels, reflective/glow-in-the-dark labels, GHS/chemical labels, and more (in addition, the BBP37 produces die-cut, cut-out text in a number of shapes). All this is done on an impressive choice of label materials including 8-10-year outdoor vinyl, Toughstripe® floor tape, glow-in-the-dark labels, wash-down material, and others. Brady’s BBP35 and BBP37 produce 300 dpi print resolution using thermal transfer technology with a maximum print speed of 5” per second. 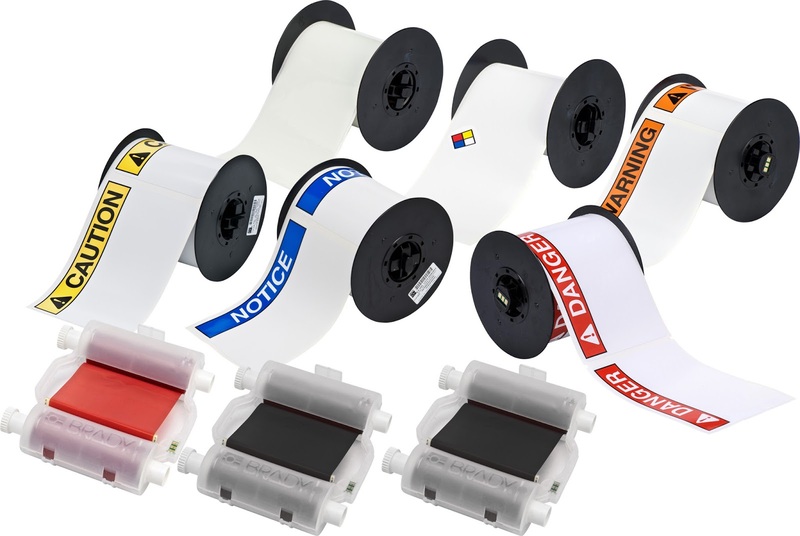 With 512 MB of memory, a four-inch maximum tape/label width (8.3’ max length), and the BBP37’s XY cutter, users can create truly attention-getting signs and labels. The BBP35 & BBP37 have access to a variety of materials. The calibration-free Brady B30 Series media and ribbons allow for super-fast changeovers (15 seconds for media cartridge and 5 seconds for ribbon cartridge). The Brady BBP35 & 37 printers have access to more than 300 stock media parts including general die-cut labels, continuous tapes, and pre-printed die cut labels. The easy-to-use touchscreen makes for quick label creation. The built-in 3.63” x 6.0” color touchscreen (with 1024 x 600 pixels resolution) provides a print preview option, shows remaining supplies, and can be set to English, Spanish, Portuguese, French and inches, millimeters, points. The printers also feature a full-size QWERTY keyboard. 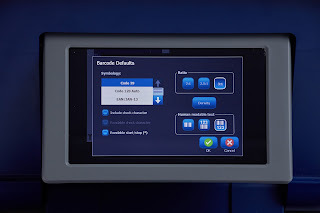 Multicolor materials, die-cut shapes, large printouts, touchscreen/keyboard input, and quick material changeovers, all combine to present two state-of-the-art printers that allow you to improve safety, productivity, and efficiency around your workplace. For complete information about the Brady BBP35 and BBP37 Sign and Label Printers, and to make a purchase, please visit QSource.com. You may also contact us by phone (800-966-6020), email, or via our Web site for info about materials, ribbons, and accessories. 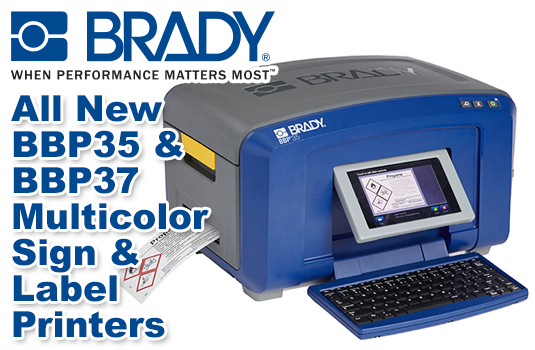 QSource.com also offers a wide selection of other Brady labeling and identification products.